Nestle is to drop George Clooney as the face of its upmarket coffee brand Nespresso, after seven years. 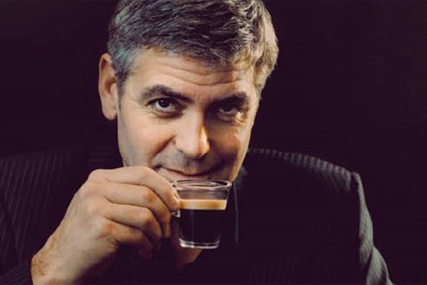 Clooney became the face of Nespreso, the coffee capsule system made by the Swiss food giant, in 2006. Last year, Penelope Cruz became the face of the brand in the US. Clooney was the face of the brand outside the US. One source said that Nespresso was now exploring other opportunities. It is understood that Clooney’s contract will not be renewed, and he will not appear in advertising this year. A spokesman for Nespresso said: "George Clooney became our brand ambassador in 2006 on the selection of Nespresso Club Members, we’ve built a solid relationship over the years. "While this has helped to embody the values of the brand, we have to keep in mind that it is our Club Members who are the true representation of the Nespresso brand." Nespresso has millions of members worldwide. Anyone who buys a machine becomes a member and receives information and advice on coffee, the Nespresso machines and the accessories. Nespressso has been one of the star performers in the Nestle portfolio.